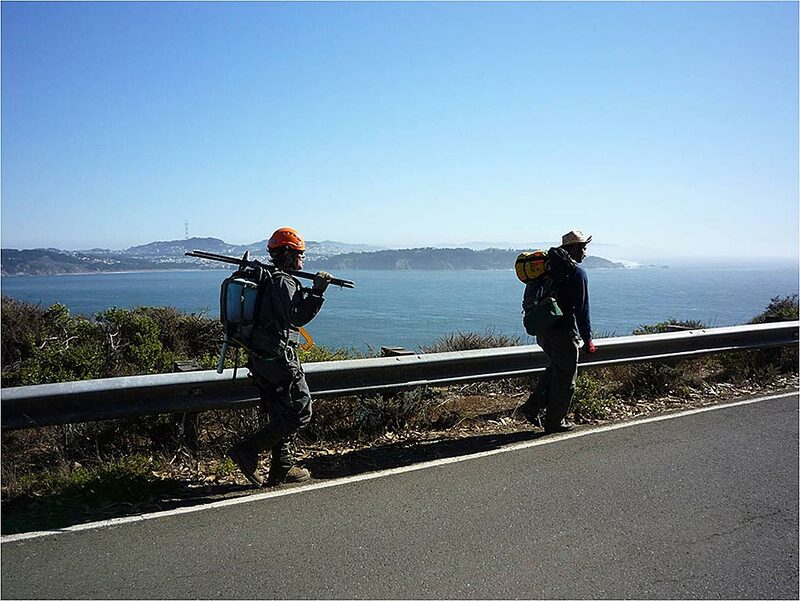 PARTNERS: National Park Service; Skala Inc. 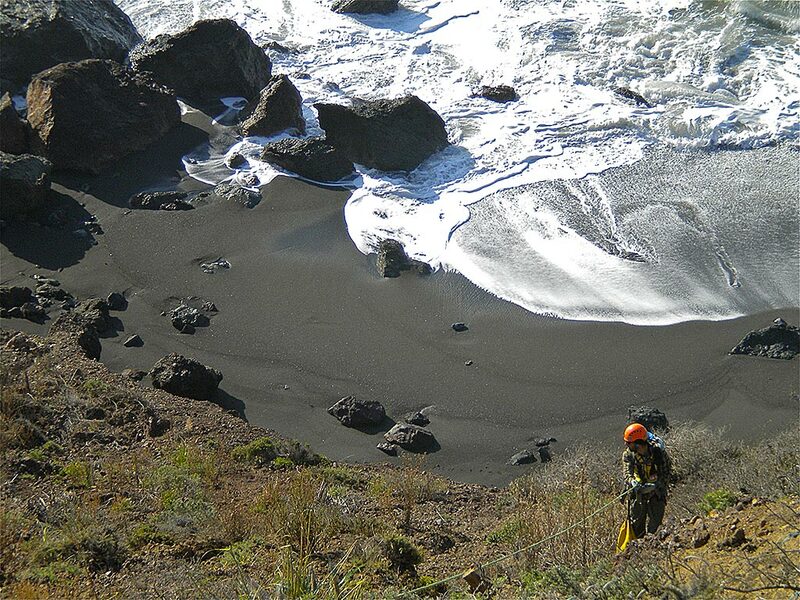 In addition to having one of the most scenic viewsheds in the Golden Gate National Recreation Area where the Golden Gate Bridge lands north, the Marin Headlands encompass the northern-most range of the Federal Endangered Mission Blue Butterfly (Icaricia icarioides missionensis). 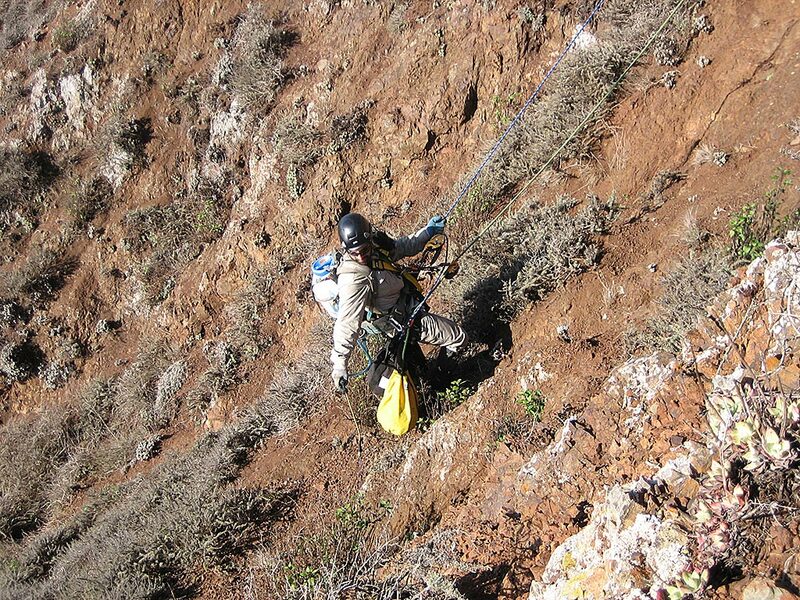 This species is dependent upon a handful of perennial lupine species - predominantly silver lupine (Lupinus albifrons) - on which to lay its eggs and feed while in larval form. 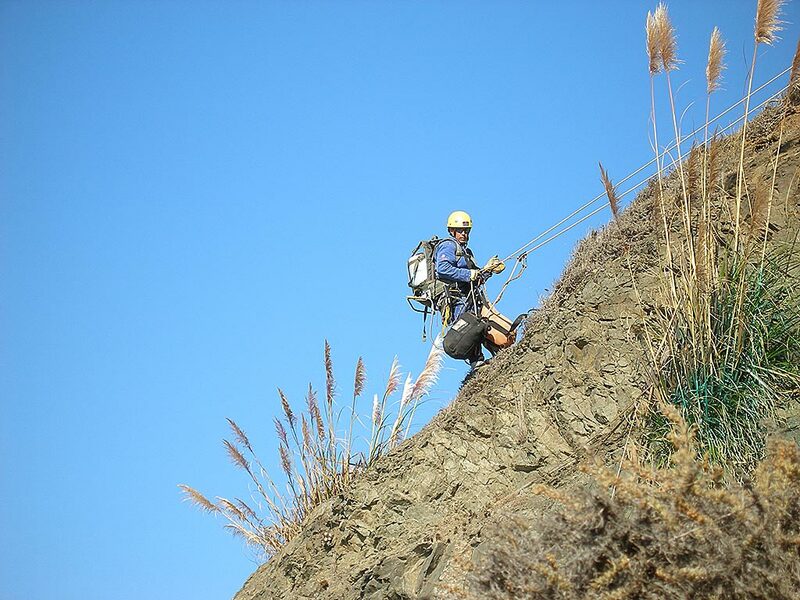 Its already limited range has been negatively impacted by habitat loss due to human development, while the remaining open space is being qualitatively threatened by invasion of myriad exotic plants, foremost among them are purple pampas grass (Cortaderia jubata). 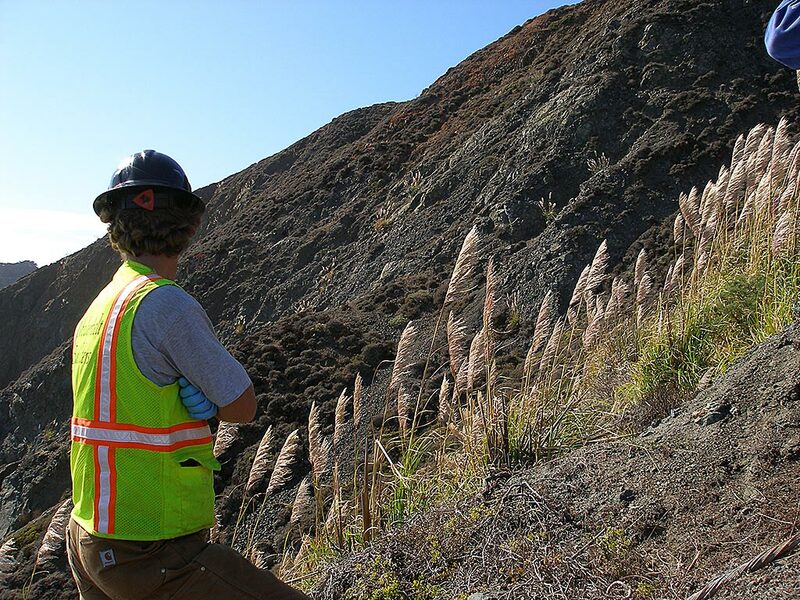 In line with protecting these threatened resources, Shelterbelt was contracted in 2006 by the Golden Gate National Parks Conservancy and the National Park Service to control the invasive purple pampas grass (Cortaderia jubata) along the rocky coastal faces of the Headlands, starting from the Golden Gate Bridge heading north to just south of Stinson Beach. 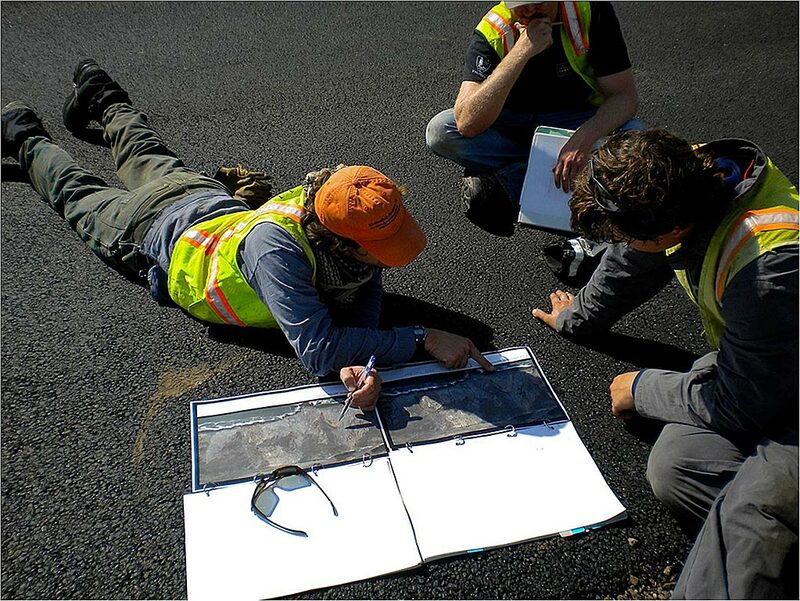 Given the inaccessibility of much of the work area, almost no previous control work had been attempted. 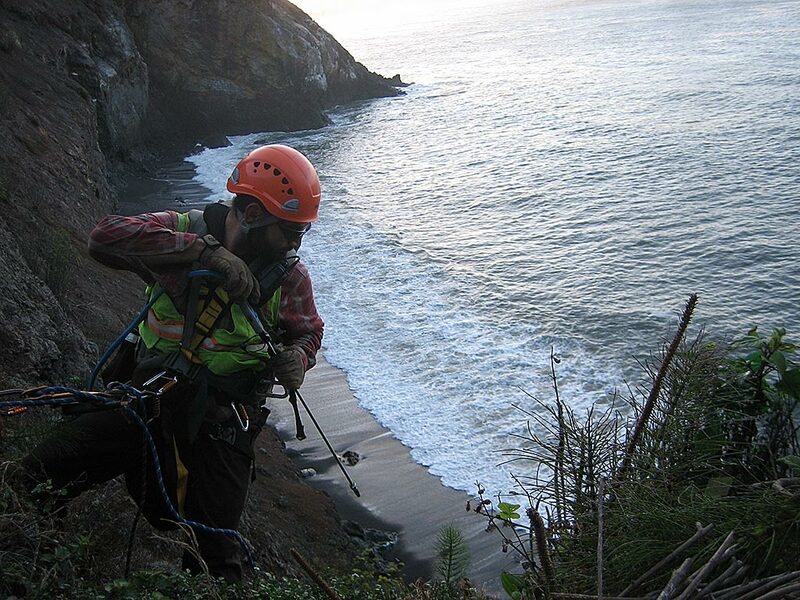 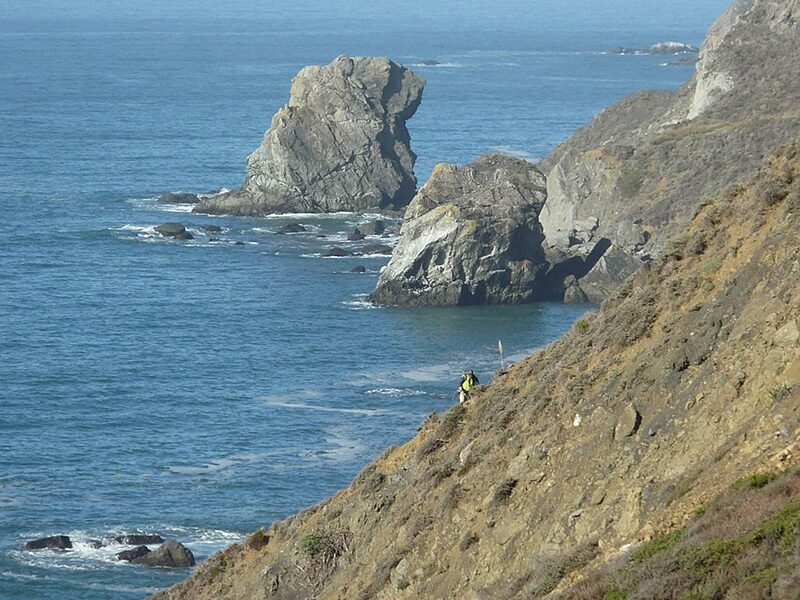 Shelterbelt partnered with Skala Inc. (an industrial rope access firm) to access the steep rock faces above the Pacific Ocean where many of the pampas grass were established. 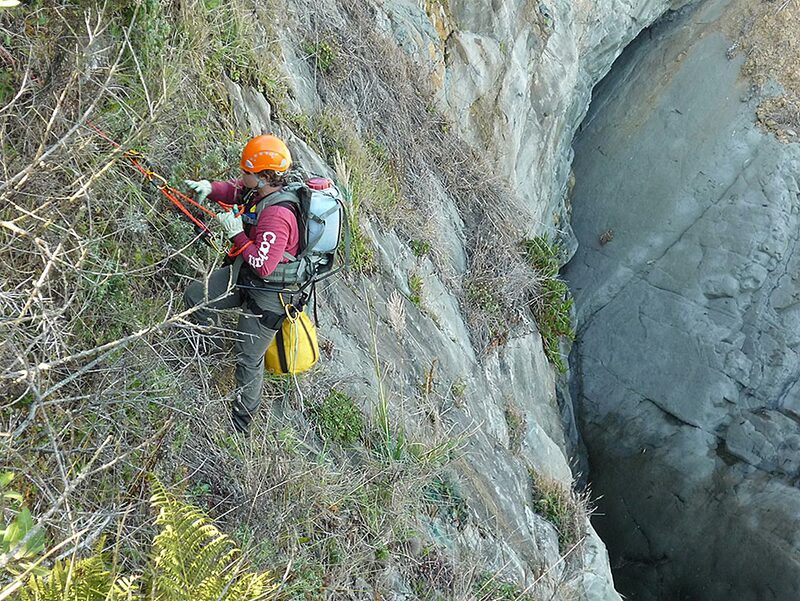 While the entire site requires off-trail hikes for access, many of the treatment zones necessitate that crews rappel down cliff faces to reach the plants and treat with herbicides. 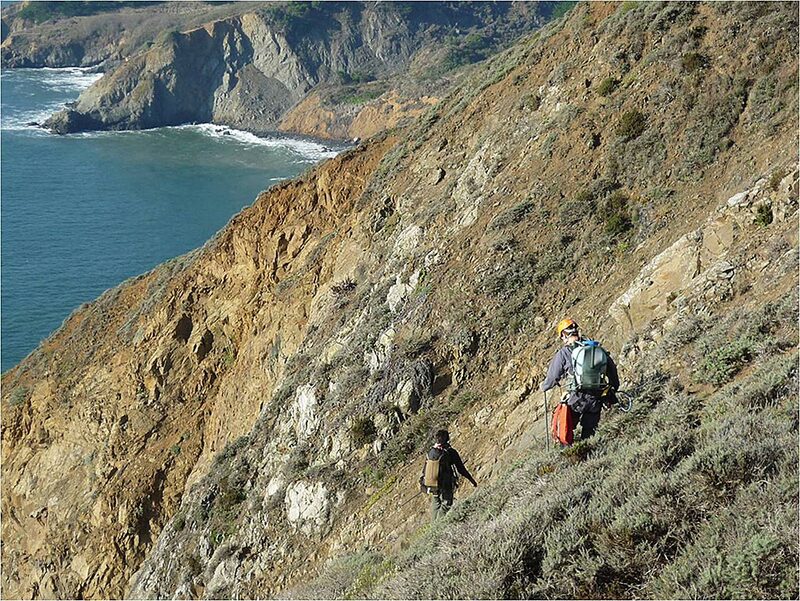 Shelterbelt has continued to work with the client annually to treat new areas and provide maintenance treatments of new seedlings on these cliffs.